The friendly Clarity Eyecare family is proud to be taking care of your eye health and vision needs. 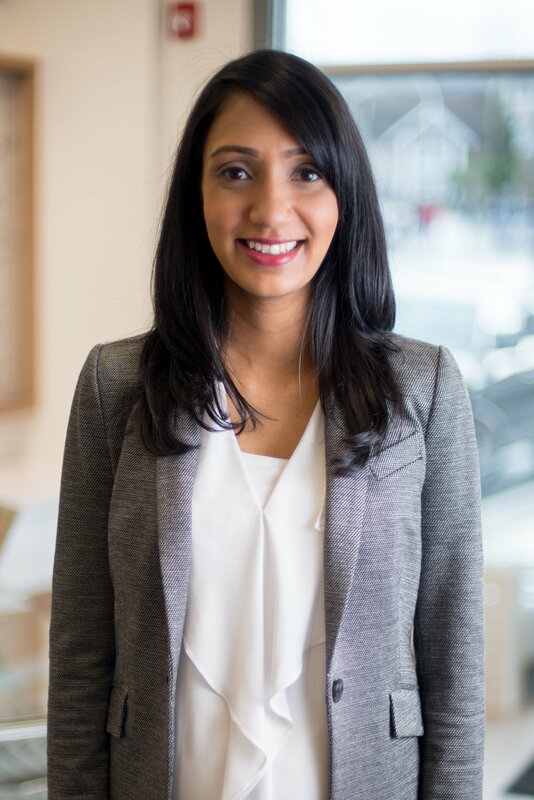 Upon completion of a Bachelor of Science in Kinesiology from Simon Fraser University, Dr. Harleen Takhar moved to Portland, Oregon to continue her studies. She graduated with her Doctorate of Optometry with honours in 2010 and moved back to Vancouver shortly after. Over the years, Dr. Takhar has practised in various clinical settings allowing her to broaden her scope of practice. Her experience includes ocular disease treatment and co-management, contact lenses fitting, emergency eye care, and pediatrics. She has a special interest in the treatment of chronic dry eyes, which can affect both comfort and vision. Dr. Takhar is proud to extend this knowledge and experience to her patients at Clarity Eyecare Centre. Outside of seeing patients, Dr. Takhar enjoys spending time with family and friends, travelling, and reading. Born in London and raised in Vancouver, Dr. Harbir Sian attended Simon Fraser University where he earned his Bachelor of Science degree in Kinesiology. He then moved to Boston, Massachusetts to complete his Doctor of Optometry degree from The New England College of Optometry. During and after his studies, Dr. Sian has worked in many settings including private practice, community care clinics, and hospitals. Through these opportunities, he has gained experience in many fields such as ocular disease, pediatrics, and primary care. As such, Dr. Sian is always happy to see patients of all ages. Outside of work, Harbir enjoys participating in sports such as soccer, spending time with family, and traveling. He was also recently named the 2016 Young Optometrist of the Year by the BC Doctors of Optometry.